DCS offers emergency response to flood & water damage disasters. DCS is your first choice in the Denver Metro area for Sewage cleanup. DCS has many years of experience in mold removal & cleanup. DCS offers smoke and fire damage restoration services. If you have ended up here at our website, then chances are you have experienced some kind of disaster to your Denver home. Disaster Cleanup Services of Denver is here to help get your property back to the way it was before the disaster. Our disaster cleanup team takes care of all types of disasters, including water/flood damage, fire damage, sewage damage, and mold damage. If you’ve already had the flood water extracted, you might need to hire us for our expert water damage remediation services. No matter what kind of disaster you are experiencing, Disaster Cleanup Service can help today, within an hour or less. We at Colorado Disaster Cleanup Services know how mentally exhausting it is when any disaster including water damage, flood damage, fire or a serious mold problem comes about. Our technicians specialize in water damage cleanup. We are here and ready for you in the Denver Metro Area everyday 24/7, Year Round because you never know when problems deriving from water and flood damage arise. Colorado Disaster Cleanup will give you incredibly quick response time to your water damage dryout needs to get your home or office back to normal as fast as possible. Colorado Disaster Cleanup Services is the best in residential and commercial disaster recovery services, from Fort Collins to Colorado Springs. Click here to see all of cities that we currently service. If you are experiencing water damage or other disaster at your property that is located in a city not listed, simply give us a call and we will find a solution for you. Colorado Disaster Cleanup Services is the company to choose when in need of water extraction. We use only the top-of-the-line in drying and water extraction equipment, ensuring a complete job, and preventing any future problems, such as mold. Often times people see standing water and think that they can handle the water extraction themselves, but having a professional handle the water extraction will ensure a complete job. Remember, you’ll find lots of companies when you search for Denver water damage restoration, but only Colorado Disaster Cleanup has the expertise and knowledge to take care of any disaster, no matter how large or small. Below is a list of our services that we provide for our customers both residentially and commercially. We always make sure the work is performed quickly and professionally with your needs in mind. 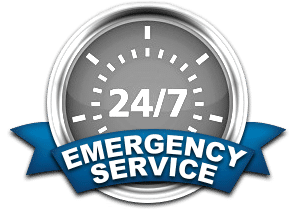 Emergency Service - 24/7 - at your location right away: your emergency is ours! Disaster Cleanup Services of Denver is your basement flood damage expert. Over the years, we have cleaned up and restored thousands of basements in the Denver area, so you know you can trust us to get your basement back to normal. We can have an emergency water removal crew at your home in an hour or less to begin the process. When all the water is cleared out, we will begin the water damage restoration process. Proper wet basement drying is integrial to ensuring that you do not do any further damage to your basement. We will send only experienced technicians out to do your wet basement cleanup, ensuring the job is done correctly. Call us today to get started on your home. Colorado Disaster Cleanup is the right call if you have a wet house, or wet sub-floor that needs drying or cleanup. If you have a wet sub-floor thats in need of drying, call us today.